FANBOY PLANET.com . 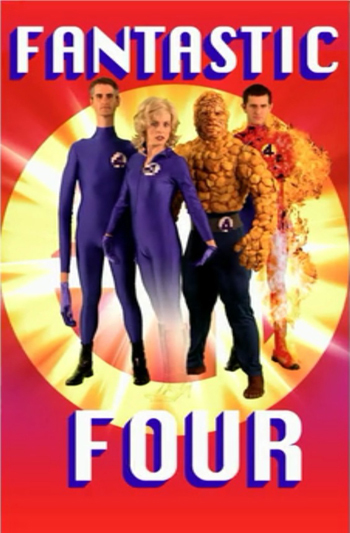 : mc-fantastic-four-cease-and-desist :. 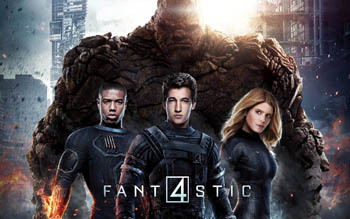 In December of 2013, a casting website, Acting-Auditions.com, posted a synopsis of Fox's proposed Fantastic Four reboot, and the internet groaned. At that point, 13 years into our existence, Fanboy Planet had never run afoul of the studios, always cautiously running rumors with the warning that that's all they were -- rumors. Since this was on a casting website, it seemed a lot more substantive. No sense of wonder -- and even the original Corman film seems to treat the concept with more respect. If you go back to the original page, you'll see that the actual synopsis was pulled at the request of Fox, because talking about it garnered our first ever (and so far only) cease and desist request. Now, we absolutely understand and respect a studio's desire to keep things under wraps, though it's getting harder and harder for them to do so. (Exhibit A: Suicide Squad.) But this had been posted on a website that actors and agents use. So it's understandable that people assumed this information was accurate -- though in going back to the site this week, we see that even they backpedaled on their own source and altered the original listing. Shortly thereafter, Director Josh Trank debunked the synopsis in a tweet almost as infamous as the one he tweeted on opening day of the film itself. He claimed it was "...not even close to the synopsis." These purported plot details provide important qualitative details about character, plot, setting and mood, thereby violating Fox's rights in the copyrights to the screenplay of the Fox Property. Further, the disclosure of purported plot details is harmful to Fox and to the filmmakers hard at work on the project. Disclosure of uncontrolled information about the Fox Property prior to its release diminishes the value of Fox's rights in the Fox Property and deprives the filmmakers of the opportunity to present the film to the public the way they intended. It also spoils the theater experience for fans who do not want to know even the rough storyline beforehand. Trank's tweet on Friday, since removed, strongly implied that what was released this weekend was also not "the way (he) intended." But let's look at it and see what actually was right. The final film does begin with Reed and Ben as childhood friends, roughly around the age of 10 or 11. Reed's experiments with teleportation do begin in either late elementary school or early middle school, and it's not hard to imagine an early draft of the script in which they trigger their transformation -- in the final product, they merely cause a blackout in all of Oyster Bay. Sue and Johnny are introduced later, but none of them gain their powers until a drunken Reed, Ben, Johnny, and Victor Von Doom teleport to "Zero Planet." Yet yes, the survivors are all immediately co-opted by the military, so that part remains. And honestly, if you are going to take a real world approach, it's not out of the question that the government would immediately see a tactical advantage in these four super-powered youths. Dr. Storm has a few scattered lines of dialogue that imply Earth is on the brink, and in yet another movie this summer, the villain mentions that humanity's self-destruction is imminent anyway. As I wrote in my review, it's not that the pieces aren't there. 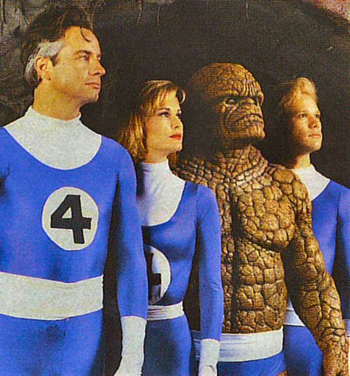 It's just that right from the beginning, the studio didn't seem to understand that the key to the Fantastic Four is that they are Fantastic. And adding that to a reshot epilogue -- literally, a strangely suddenly not bitter Ben Grimm says "it's fantastic!" and inspires Reed to call them that -- isn't enough. It has to run through the film. Yes, we decried it. We were hardly alone. There may be fans who do not want to know even the rough storyline beforehand, but if you've watched the commercials and trailers for it, Fox marketing was pretty good at trying to convince us that the movie has a completely different storyline. My son noticed this while watching the FX broadcast of Marvel's The Avengers. One commercial makes it seem like an alien invasion movie, beginning with a highway and cars getting sucked up into a vortex. Another commercial makes it seem like this is the romp that fans really wanted -- with almost all of the dialogue lifted from the last five minutes of the movie, and with a couple of scenes that aren't in the final cut. It's almost as if marketing did understand what movie fans wanted to see. Already, it's been batted around the internet that if Fox had begun production of this after Guardians of the Galaxy had been released, we might have gotten a vastly different movie. Instead, they modeled it after Iron Man and maybe, strangely, even Man of Steel or The Dark Knight Rises. The studio claims they're still committed to the Fantastic Four, and that could be true, or it could be bluster until our short fan memories let it die and they quietly start negotiating with Marvel to give the characters back (for a fee). But if they are going to move forward with a sequel, they should take a page from the best of their X-Men movies and realize that we don't want to see what would happen if the team were real -- we want to see the team we love. Go over to whatever your favorite hard news website is. You'll see we have enough reality. Give us the fantastic. Arrested Development image sourced from Reddit. If I could find who photoshopped it, I would gladly give him or her credit.